Information theory is a branch of applied mathematics, electrical engineering, bioinformatics, and computer science involving the quantification of information. Information theory was developed by Claude E. Shannon to find fundamental limits on signal processing operations such as compressing data and on reliably storing and communicating data. Claude Shannon, the founder of information theory, invented a way to measure 'the amount of information' in a message without defining the word 'information' itself, nor even addressing the question of the meaning of the message. Hans Christian von Baeyer (2003) Information, The New Language of Science. p. 28. In fact, an information theory that leaves out the issue of noise turns out to have no content. Hans Christian von Baeyer (2003) Information, The New Language of Science. p. 122. Hans Christian von Baeyer (2003) Information, The New Language of Science. p. 231. Ludwig von Bertalanffy (1968) General System Theory. p. 166-167 as quoted in Lilienfeld (1978, pp. 7-8) and Alexander Laszlo and Stanley Krippner (1992) "Systems Theories: Their Origins, Foundations, and Development". Léon Brillouin (1962) Science and Information Theory, second edition. p. 9. Richard Feynman (1964) The Feynman Lectures on Physics "The Laws of Thermodynamics". Whether computers are used for engineering design, medical data processing, composing music, or other purposes, the structure of computing is much the same. We are extremely short of talented people in this field, and so we need departments, curricula, and research and degree programs in computer science... I think of the Computer Science Department as eventually including experts in Programming, Numerical Analysis, Automata Theory, Data Processing, Business Games, Adaptive Systems, Information Theory, Information Retrieval, Recursive Function Theory, Computer Linguistics, etc., as these fields emerge in structure... Universities must respond [to the computer revolution] with far reaching changes in the educational structure. George Forsythe As cited in Donald Knuth (1972). "George Forsythe and the Development of Computer Science". Comms. ACM. Dennis Gabor (1952) "Optical transmission," in: Information Theory: Papers Read at a Symposium on Information Theory. as cited in: James Grier Miller (1978) Living Systems. p. 12. Roy R. Grinker, Sr. (1964) as cited in: S. Nassir Ghaemi (2009) The Rise and Fall of the Biopsychosocial Model. p. 24. Cybernetics is concerned primarily with the construction of theories and models in science, without making a hard and fast distinction between the physical and the biological sciences. The theories and models occur both in symbols and in hardware, and by 'hardware* we shall mean a machine or computer built in terms of physical or chemical, or indeed any handleable parts. Most usually we shall think of hardware as meaning electronic parts such as valves and relays. Cybernetics insists, also, on a further and rather special condition that distinguishes it from ordinary scientific theorizing: it demands a certain standard of effectiveness. In this respect it has acquired some of the same motive power that has driven research on modern logic, and this is especially true in the construction and application of artificial languages and the use of operational definitions. Always the search is for precision and effectiveness, and we must now discuss the question of effectiveness in some detail. It should be noted that when we talk in these terms we are giving pride of place to the theory of automata at the expense, at least to some extent, of feedback and information theory. F.H. George (1962) The Brain As A Computer Pergamon Press. p. 2. Attributed to Fred Jelinek (1988) in: Roger K. Moore (2005). "Results from a Survey of Attendees at ASRU 1997 and 2003"
Warren S. McCulloch (1961) in: Pask An approach to Cybernetics. Preface. p. 7. The field of 'information theory' began by using the old hardware paradigm of transportation of data from point to point. Marshall McLuhan (1988) Laws of Media: The New Science (with Eric McLuhan). p. 111. 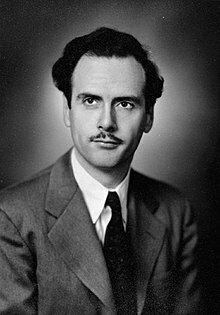 Marshall McLuhan (1988) Laws of Media: The New Science (with Eric McLuhan). p. 362. Asher Peres (1995) Quantum theory: concepts and methods. p. 26-27. Claude Elwood Shannon (1971) Scientific American, Vol 225, p. 180. Eric Trist and Fred Emery (1963) "The Causal Texture of Organizational Environments". In: Human Relations, 18: p. 22. Francisco Varela (1991) The Embodied Mind p. 38. This page was last edited on 4 May 2018, at 17:47.